Big Changes in International IP Laws: Business Methods and Computer Programs in China and Copyright Protection for Digital Technologies in Europe, Author, Amercian Bar Association, June 2018. Kamal is a member of Merchant & Gould's electronics and computer law practice group in Atlanta. He primarily practices patent drafting and patent prosecution with specialization in the electrical, computer (hardware and software), telecommunications, and mechanical fields. 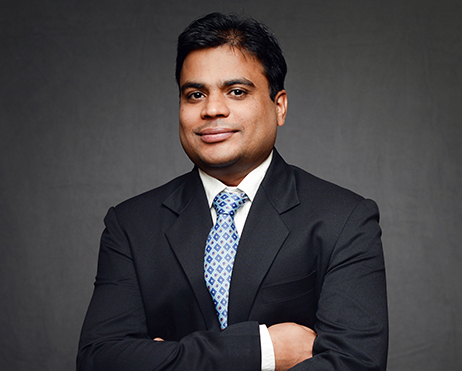 Kamal joined Merchant & Gould in 2012 after working as an IP professional for law firms in India and the U.S., as well as for GE Energy and Hewlett-Packard India. During his undergraduate studies at Indian Institute of Technology Delhi, Kamal worked with National Thermal Power Corporation of India on optimizing a power distribution system, Poynting Antennas of South Africa on establishing communication system for miners in gold mines, and the Center for Advance Research in Electronics of India on developing a mechanism to measure ultra-low capacitance. Kamal is co-inventor on at least 5 pending U.S. patent applications. Outside of the office, Kamal enjoys hiking and reading.